For individuals who would like to continue to reside in their own home, Shine On is also available to provide Supported Home Living Services. This program allows an individual to receive support with transportation and respite services. Shine On offers companion care/HCS Foster Care services to individuals who prefer a “home like” setting but still require support. Companion/Foster care offers the freedom and independence of home while providing ongoing structure and training in the areas of socialization, community integration, and personal well-being. 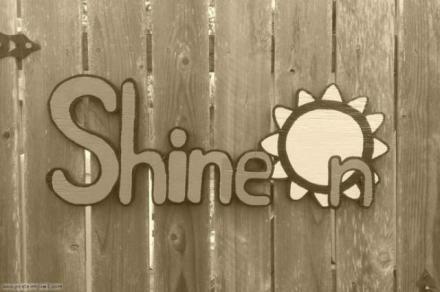 Shine On is proud to offer Home and Community Based services in a manner that is custom tailored to each individual. We are sure to have a program that is suited to meet the needs of today's discerning individual. Whether you desire to live with roommates in a small residential setting or reside at home we are sure to have a program that will meet your needs. Shine On offers accommodations in spacious homes for individuals seeking residential placement. The group homes are currently located on the Northeast side of San Antonio. Our group homes offer spacious accommodations for individuals including large bedrooms and closets. The homes also have amenities such as new paint, flooring, ceiling fans and updated bathrooms. Our open living rooms offer a great opportunity for socializing with peers. Our spacious back yards are great for summer activities including gardening, games and bar-b-queing. assist you and to schedule a tour.